There's plenty of talk about the 'Scandi Crime Wave' and 'Nordic Noir' as if it's some kind of homogeneous offering from the crime writers of that multinational region, when in truth there are plenty of differences in settings, styles, and stories told. Icelandic author Lilja Sigurdardottir certainly underlines that: TRAP is the second in her Reykjavik Noir series and is an edgy tale of international drug running and financial shenanigans centred on a host of rather unlikable but fascinating characters with nary a pensive alcoholic copper in sight. In a way, it's noir in its truer sense (rather than the mere synonym for crime & mystery storytelling which it's become in recent years) - many of the characters are a bit cynical or fatalistic, and there's plenty of moral ambiguity on offer all across the board. This draws the reader in with a sense of freshness and fascination, while at the same time creating a little buffer: at times I found myself admiring the storytelling more than being totally enveloped by it. Perhaps because I wasn't really rooting for any of the characters, rather just witnessing the traps set and all the carnage unfold. But it is delicious carnage. This is a pretty fast, slim read, but has lots going on. Slick, but with substance. It's really interesting to see a crime writer take on the high-level financial mismanagement and white collar crime that can infest nations and have huge effects but isn't paid as much heed as violent crime. 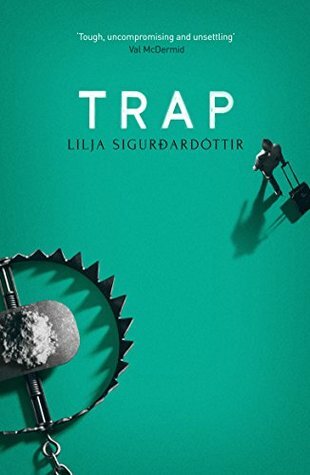 Sigurdardottir delivers an interesting tale with great pace and plenty of tension, and some really memorable moments and characters. I closed the book thinking it would make for a great screen tale too. While none of the characters are particularly heroic, there is a sense of understanding and some empathy with some of them: we can see how they got themselves into bad situations, and even if things began for selfish or less-than-honourable reasons, and much of the harm is self-inflicted, there's also a strong sense of humanity and the messiness of life, both professionally and personally. A really interesting read from a talented storyteller. One that sticks with you.